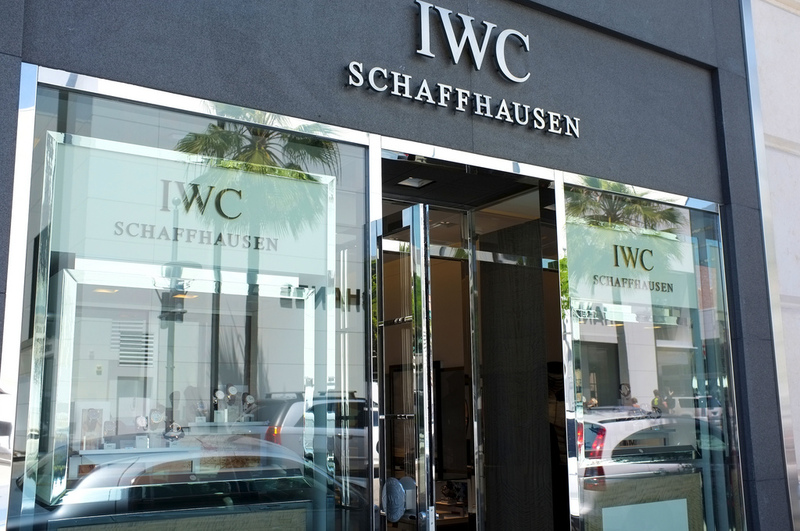 Shopping IWC’s L.A. Outpost | A Continuous Lean. During my most recent jaunt out to Los Angeles my work schedule only permitted time for one or two ACL oriented diversions. 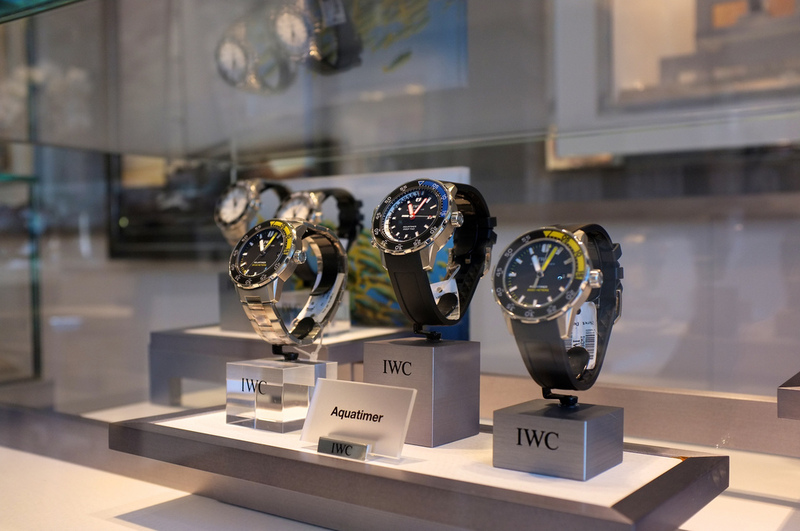 Since I have been concentrating on getting the hang of my newish Fujifilm X100 Camera, I figured the IWC boutique in Beverly Hills would be as good as place as any to explore during my free time and take some photographs. While I’m still getting the hang of the camera, the sharpness of the X100 is really something to marvel at – especially when capturing the precise and good looking IWC watches. 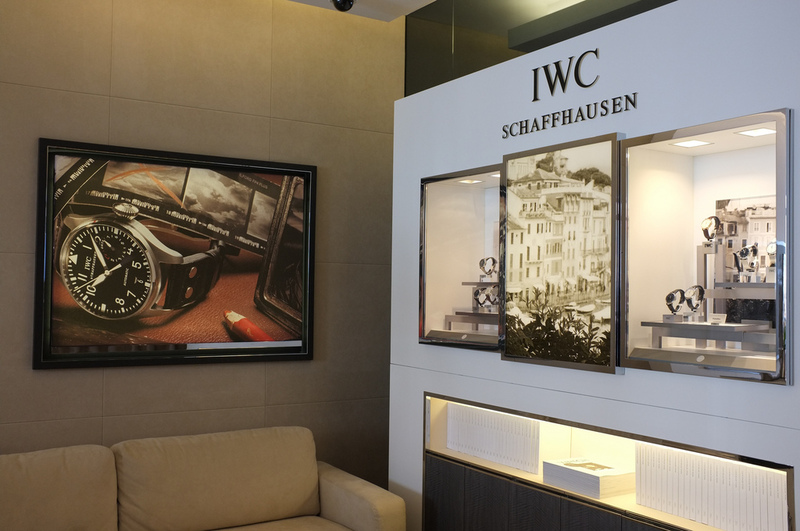 The IWC shop space is small and bright with specific displays for each of the different watch families. 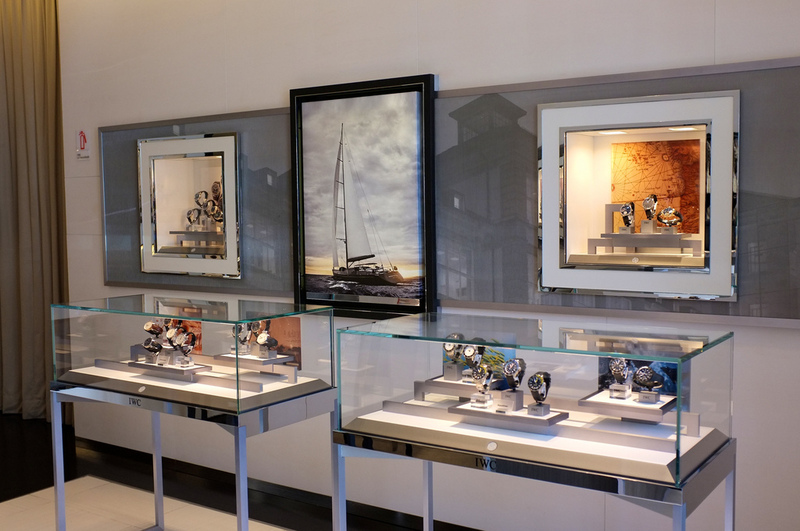 The main wall in the back center of the shop featured the new Portofino collection, which I like more and more and more each time I see them. To me the Portofino pieces are a more refined answer to the Portuguese group. Not sure I can pull off the Milanese bracelet, but I’m sure that there are many guys (especially in Beverly Hills) who can. Of course, if I was on the Italian Rivera maybe I would reconsider my position on the metal bracelet. All that said, I think I have my eye on a Big Pilot more than anything else. The staff at the shop was helpful and non-intrusive, being patient as I asked questions and tried a series of watches on. The store is small, but still a great low key place to see the IWCs in all of their real life glory. Also, not a bad place to take some photos. I’ve added quite a few things from your blog to the Sh*tICantAfford list this week. Great photo shoot Michael !! I don’t know if it is due to the beautiful IWC watches or the quality of your new camera … I guess both, but anyway well done ! Michael, Considering your craving for photographic fine resolution, I suggest a tripod for indoor glam shooting. With that said, I really wanted to comment on the IWC boutique and a tale I heard recently from a now-former IWC dealer. While in Santa Fe a couple weeks ago, I slid into Packard’s the Tiffany of Santa Fe and was casually looking at the Rolex case when this gargantuan white-dialed thingy assaulted me. 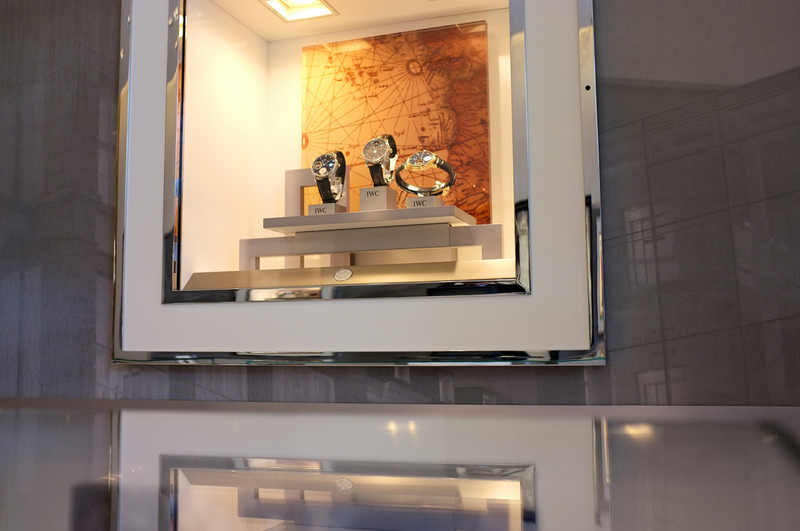 Come to find out it is the new Yachtmaster…um, overwrought doesn’t begin to capture it. Anyway, a kind sales lady came over and chatted about Rollies; I demurred, saying that a decade ago, I’d sold my old suntan (aka bronze) two-tone GMT and bought a GST IWC (said he, ticking up his sleeve). 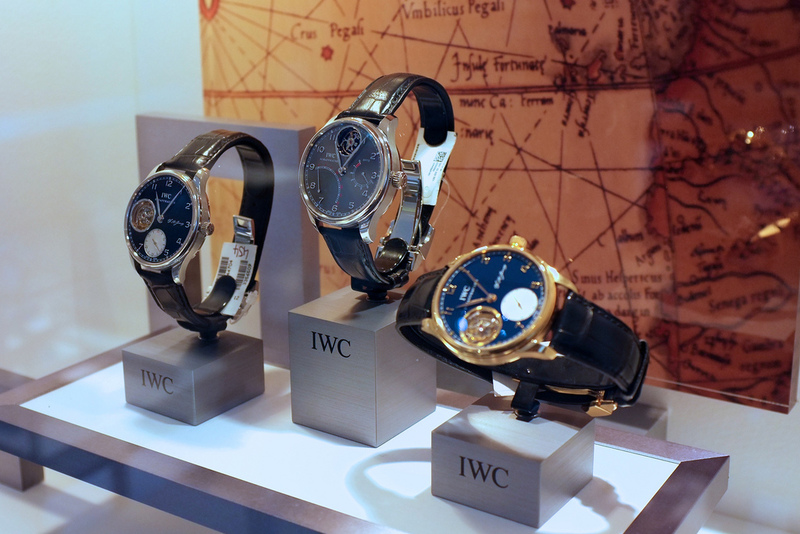 She replied that they missed IWC… and that they had been a dealer for sometime. I bit at her inferred ellipsis and asked her about their departure. 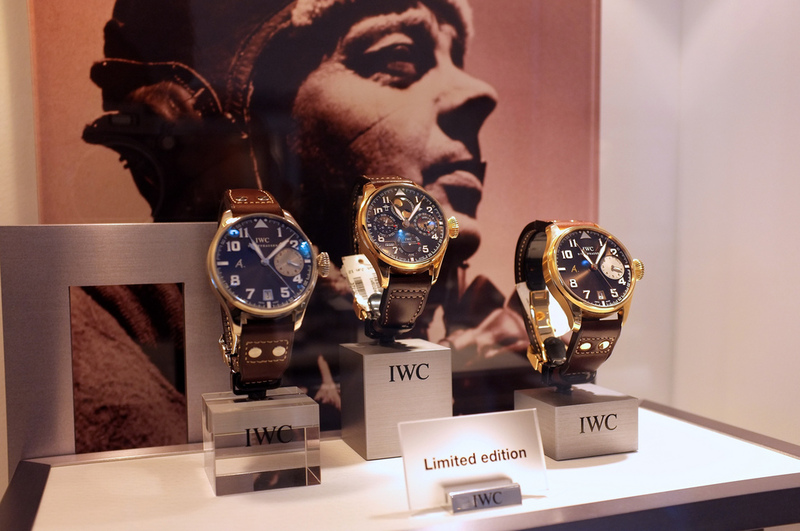 I was told that IWC was now opening American boutiques and backing away from individual dealers, ergo their departure from Santa Fe. Seems rather short-sighted to me, especially if the LA store is supposed to suffice for that region. I don’t know anymore than that, but am surprised by your headline that LA is their ONLY US outpost. Any insights to offer? Still a Rolex guy…third sub on the way next week. 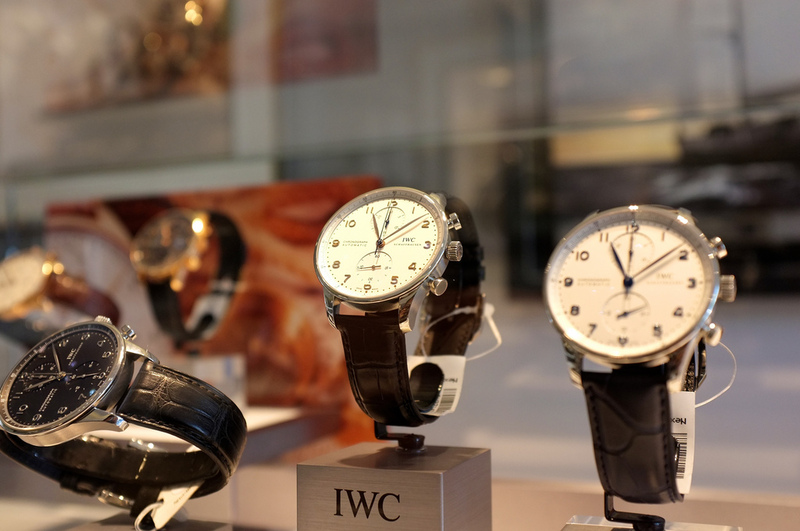 IWC Portuguese, cleanest most understated elegant watch line in the world…PERIOD. 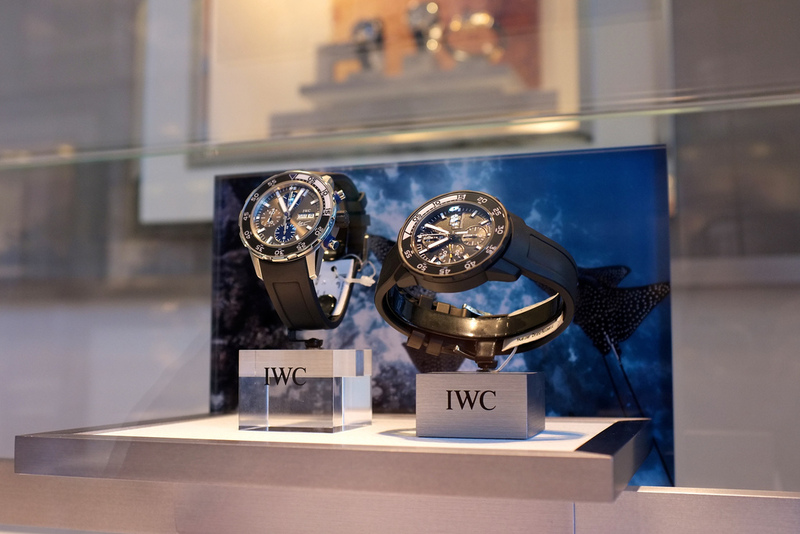 @MW, don’t forget the IWC corporate owned boutique in Vegas! Good call Elias! I should change the title. Unless of course you don’t consider Vegas to be in America! I love my Pilots chrono, but I do keep looking at the Portuguese and thinking about adding it to the collection. This post only increases that! IWC make a very nice watch but the classic of classics has to be the….Omega Seamaster Deville of the 60’s and early 70’s. imo subtle is key. give me a vintage explorer, speedy, or mark 15 or 16 any day over either of their latest offerings. i lusted after a big pilot for a while myself, but wear one for a bit and you’ll grow tired of it. it all seems a bit pretentious really. Love your shots the Fuji x100 is great camera great blog btw. Third picture down – the one in the middle, please. I love the St Exupery Big Pilot on brown leather. Never seen one in the flesh but they look AMAZING!